Tehran is planning to build small nuclear power plants and desalination facilities in the south of the country, according a spokesperson for the Atomic Energy Organization of Iran (AEOI). Deputy head of the AEOI Behrouz Kamalvandi said that his organization is actively working on developing a program to make the new energy projects operational in the coming years. Talking to IRNA news agency on Saturday, Kamalvandi said that he expects Iran to start generating fuel in the next 10 to 15 years. The Islamic Republic is also drawing up plans for the production of fuel for larger power plants, Kamalvandi said. Kamalvandi confirmed that a Rosatom delegation is to visit Iran later this month to continue negotiations on building the two new power plants in Bushehr. “During the visit of Rosatom delegation, negotiations will be underway for joint cooperation in construction of the two power plant as well as the production of nuclear fuel,” he said. He noted that the construction of two nuclear plants will start within the year. Late last month, Iran and the P+5 powers agreed to a framework for a nuclear deal curbing the Iran’s nuclear capability in exchange for sanctions being lifted. 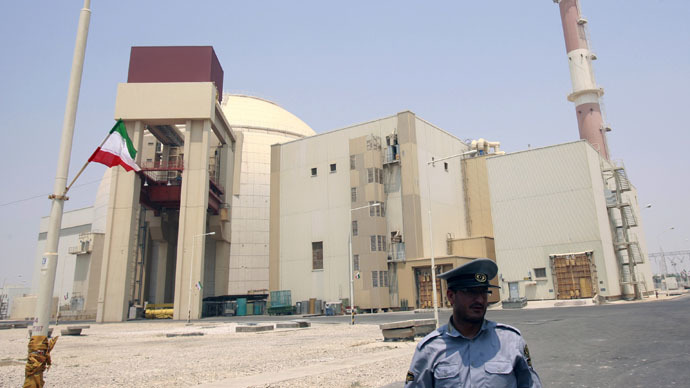 The interim deals calls for Iran to reduce the level of enrichment at its Natanz nuclear facility as well as roll back its fuel stockpile and cut the number of centrifuges in Natanz. The deadline for a final accord is set for June 30.